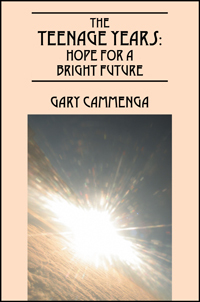 Gary Cammenga’s “The Teenage Years: Hope For A Bright Future” is about hope for teenagers. This book has been written for the benefit and well-being of those who are teenagers in middle school, high school, and college; it is written with a great deal of love and concern for each one of you who want to avoid the wrong roads, wrong choices and pitfalls of teenage life. Previous Previous post: The Path to Self-Publishing is Smoother Than Ever!